There are few places as charming and beautiful as Devon, in all of England. For all those who hate the idea of spending their holidays amidst crowds of people, busy hotels, and bustling traffic, Devon is truly a holiday haven. Rolling plains, wonderful beaches, breathtaking scenery, excellent Devon caravan sites and untouched natural beauty makes it a rarely used, but extremely relaxing, holiday destination for all. So if you are planning to head on down to the county, then here’s a list of things that you could see to make that trip to Devon memorable. If you are travelling to Devon with young children, then this is definitely the first place you need to go. Even if you don’t have children, you will still love the fantastic entertainment park that is the BIG Sheep. 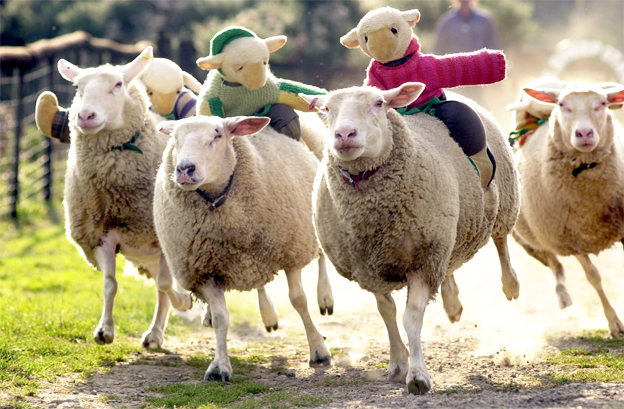 There is something special and rustic about this theme park, with its world famous Sheep Racing events, with jockeys and all, as well as horse whispering and duck trials. There are some incredible breeds of sheep and some really funny shepherds who will guarantee a laugh-riot as they take to the stage, with the sheep, and present a fantastic live performance. There are plenty of rides and attractions to burn out all that pent-up energy and children will never want to leave once they reach The BIG Sheep. There is so much to see and do at this fantastic and massive attraction, which takes you to a miniature world with tonnes of detail in the form of buildings, people, animals and vehicles. 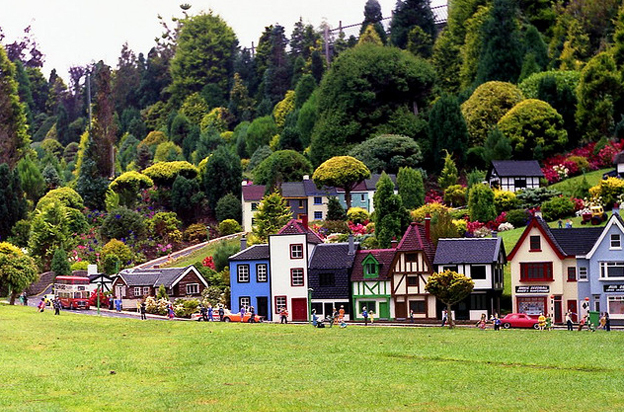 There are plenty of things to occupy your interest and whether you are an adult or child, you will enjoy every single minute you spend at the model village. The entire area is placed within a garden where you can, if you want, easily spend an entire day, with a nice peaceful lunch while sitting in a picnic area that overlooks these wonderful little creations. Four acres of award-winning gardens create a magical world within the magical landscape of Devon. 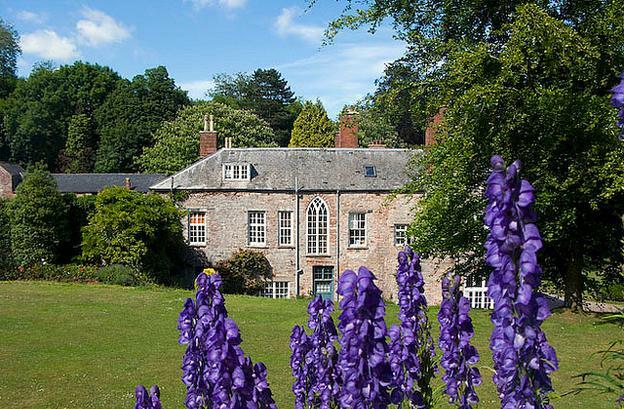 Just about a mile down the road from the seafront, at Torquay, Cockington Court is a fantastic historical village that covers around 460 acres of the country park. The place is riddled with galleries and studios, with skilled craftsmen going about their daily business in plain sight. The area has beautiful woodlands, lovely lakes and manicured & landscaped gardens where you can just spend the entire day exploring nature’s bounty. There are plenty of tea rooms to slow life down even more, while the horse-drawn carriage simply throws you into the past. The village is absolutely picture-perfect and probably the best way to spend a quiet and peaceful day, exploring the heart of Devon. 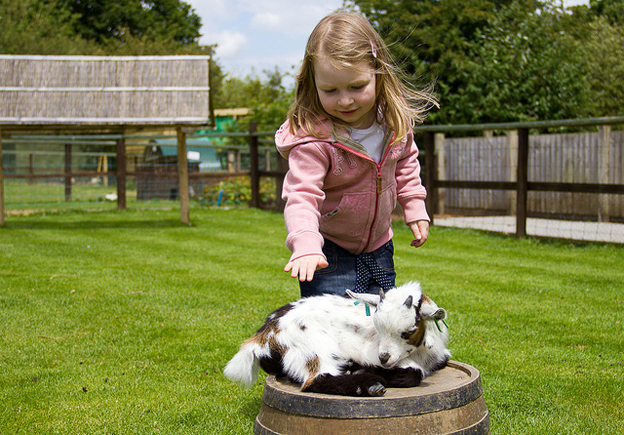 A non-profit organization that preserves endangered species of farm animals, the Totnes Rare Breed Farm is a fantastic combination of education and entertainment for people of all ages. Children love this family-owned attraction that offers personalized service to keep you comfortable throughout your visit. Located on the beautiful rolling plains of Devon, the Totnes Rare Breed Farm is surely one place that will capture your heart! Finally, a little something for the adults! 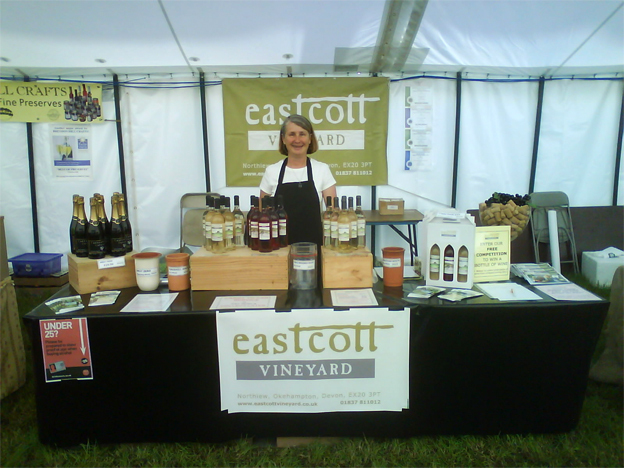 Located in a beautiful valley just a few miles off of Okehampton, Eastcott Vineyard covers part of Dartmoor National Park. The vineyard offers some exciting wine tasting sessions as well as tours of its flamboyant premises. Eastcott is known for its fantastic range of white, rose and red wines using state-of-the-art equipment and highly trained personnel. You can grab a bottle or two, for those special occasions, and spend some lovely time at this picturesque vineyard. George Davis, the author of the “Top five attractions in Devon” is a full time travel consultant for a Devon travel agent.